A newborn foal (less than 1 day old) is getting aquainted with her owner while her overly-protective mother oversees the situation. This shot was taken from inside an 11'x12' stall. Lighting is from an open top half of a Dutch door and large overhead skylights. Upper Antelope Canyon is a spectacular slot canyon on Navajo land near Page, Arizona. While the image appears serene, my back is against the canyon wall and I am elbow-to-elbow with fellow photographers. And just around the corner is another guide blocking access to the scene. Upper Antelope Canyon is the most visited and most photographed slot canyon in the American Southwest. A guide is required for this slot canyon. And to get decent photos here, book a photo tour. The native guides will take you where you need to go when you need to be there. You need to know what you are doing when shooting here - you do not have much time to capture your image. A little girl in pajamas and a Santa hat displays a tray of ... well, I'm not sure what they are. Must be for breakfast though. Notice the perspective a 16mm lens provides on a full frame body. Lighting is ambient from large windows and skylights. Only a small amount of lens flare is visible even though the sun is directly in the picture. A young violinist plays on a grand stage along with a grand piano accompaniment. The wide angle focal length emphasizes the violinist. That's right. I dropped my Canon EOS 5D Mark III with an EF 16-35mm f/2.8 L II USM Lens attached into the Caribbean Sea. Fortunately, it was in an Ewa-Marine U-B 100 Underwater Housing. As I have mentioned, my landscape photography plans did not work out as well as planned on my recent St John, USVI photo trip, but I had a backup plan. St John has some of the world's best snorkeling locations, and as I am sure that you are aware of by now, I have a problem with seeing something amazing and not being able to capture it photographically. The Ewa-Marine underwater housing is a very cost-effective way to make high quality underwater photography possible using your existing DSLR kit. 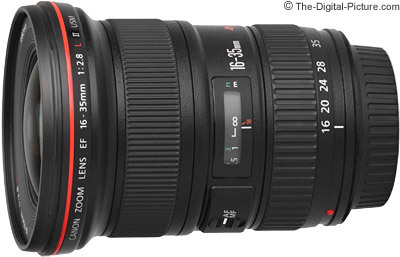 The UB-100 model fits most DSLR cameras and small to medium-sized lenses with 77mm or 82mm filter threads. Underwater snorkeling photography is both physically demanding and skill-challenging. I have never deleted as many bad pictures as I did on this trip, but I have no regrets and look forward to the next opportunity to shoot underwater as it is great fun and also rewarding. Imagine swimming through a school of little fish so thick that you can't clearly see beyond several feet (with motion sickness becoming a real issue) – until a 3-4' (1m) tarpon shows up, clearing a path around it. As the fish appears, you dive down to attempt a level perspective and attempt to get good framing as the huge fish passes close by. Occasionally, you get it right and have a unique image to add to your portfolio. Sand Beach is barely visible in the distance in this Acadia National Park picture. The rocky coast seen here is very typical for this area. Though not nearly as dramatic as Upper Antelope canyon, Sheep's Head Slot Canyon is far less visited. Along with the guide, we had the canyon to ourselves this morning. Reflected light from the red canyon walls create a very warm light on this piece of driftwood and the worn rock around it. When shooting in dark slot canyons, it is important to avoid getting directly-sunlit areas in the frame as they will result in unattractive blown highlights. A black quarter horse mare peers out her windows. Distance to the far stall wall is less than 11'. When approaching your subject, consider all angles it can be shot at. A step ladder was used for this looking-down perspective. A laser-like beam of sunlight reaches 130' below the ground to the floor of Upper Antelope Canyon. I highly recommend a wide angle zoom lens when shooting at this popular location. There is a lot of sand blowing into this slot canyon (and the 4 other slot canyons I was in during this trip), so any lens changing should be done inside a protective bag. A towel or other protection for the camera and lens would also be a good idea. A weathered tree clings to the rim of the Yellowstone Canyon near Canyon Village, Yellowstone National Park. The view from high up on Cadillac Mountain, Acadia National Park is awesome even without a sun setting below. To get the star effect from a bright light, use a narrow aperture (such as f/11) and a wide angle lens. This is an HDR image. Photoshop was used to manually create this final image from two differently exposed images. The round rock beach just north of Otter Cliff in Acadia National Park is a great place to visit. Especially with a camera and tripod. Three kids lounge in the room at the inn. The wide focal length makes capturing most of the room easy - even with a 1.3x body. The sun breaks the horizon near Otter Cliff, Acadia National Park. A sunset picture of a palomino Quarter Horse foal. His color is changing to a darker shade as the baby hair sheds. A 16mm lens on a full frame body takes in a big venue. The large beam near the top of the image presents a serious lens distortion stressor. A triaxle dumb truck releases its load of "cracker dust" (limestone fines). Shot from 20' up in a forklift, this informal (to closer match a 100 year old photo) corporate group picture is a composite of about 12 photos. Some shot during the same session (eyes opened, heads straightened ...), some under completely different weather conditions to add missing persons. Otter Cliff can be seen jutting out from the coast behind these large boulders in Acadia National Park. When working with a subject, try different angles and focal lengths. A relatively wide focal length and a close subject distance will cause the foreground to be emphasized. In this case, the rear quarter panel of the car appears larger relative to the rest of the vehicle (the front quarter panel for example) - because of the perspective of the close subject distance. A little girl peers into a basket holding two baby rabbits. A Golden Retriever does the same thing. The Yellowstone River cuts through the beautifully-colored Yellowstone Canyon walls. Photographically cooperative clouds hover over a channel through the Florida Keys west of Key West. A circular polarizer filter was used for this shot. A black Quarter Horse mare and here palomino colt stand affectionately, nose to nose. The falls may be too small to have a name, but that fern-covered boulder beside it should have one. And I've spent enough time beside it to know it well. In the fall, colorful beech tree leaves collect on the ridged rock in the foreground. Move in close with a wide angle lens, use a narrow aperture for lots of depth of field and use a circular polarizer filter to knock down the reflections and you have a nice picture. Rays of light stream into Upper Antelope Slot Canyon, reflecting warm-toned light onto the already-red sandstone canyon walls. Note the 15 second exposure - a tripod is required for photographing the Upper Antelope Slot Canyon. New growth glows light green in the early morning sun. The house cat checks out the stray cat. Funny but not visible in the picture is that the indoor cat has no tail and the outdoor cat tail was abnormally large. This is a 1 month old palomino Quarter Horse colt. A close wide angle tilted perspective along with a wide open shutter creates an interesting look. A clump of white Daffodils glows as the sun sets. Only the flowers are still in the light. One of the most beautiful sights in Yellowstone National Park is the Grand Canyon of Yellowstone. While there is a lot of interesting landscape in the Upper Antelope Slot Canyon, the light beams that occur certain times of the day and year are the biggest attraction for photographers. I'll assume the two rabbits and the stuffed horse are girls as well. An easy way to get a clean background is to get above your subjects. A narrow beam of light reaches the floor of Upper Antelope Canyon, 130' below the ground surface. With a long exposure and a short amount of time to shoot in (the guides are holding the other visitors back), you need to get your shot settings right quickly. Pennsylvania does not often get the Colorado variety snow storms, but what Pennsylvania gets can be very beautiful. When the cloud cover is heavy, it doesn't matter what time of the day you are shooting in – images taken throughout the day will look the same. Here I was shooting mid-day during the storm from under the protection of an umbrella. Since you never know when a wind will kick up and blow the snow off of the branches, I was making sure that I got the shot I wanted. The blurred falling snowflakes (hard to see at this reduced image size) also add a different dimension to this image. A deck forms the base for this image while the deck, roof and tree lines take your eye on a tour throughout the frame. There is not much in the slot canyons other than rocks and sand, but the occasional tumbleweed makes its presence there. Just because you arrive at a high location before sunrise doesn't mean that you will have a clear view at sunrise – even if the forecast was for a clear or partly cloudy day. Of course, sometimes you prefer for some of the view to be blocked. And the latter was indeed the case this particular morning at Canyon Vista in Worlds End State Park when heavy fog filled the valley long after sunrise. I had plenty of time to explore a wide variety of shots including this one where I used a large hemlock tree's branches to add interest to the plain blue sky. There are few Ricketts Glen SP subjects more beautiful than Harrison Wright Falls. But after you have the normal portrait shots of these falls, look for something different. For this image, I moved downstream and came up behind a rock formation. The lines from the rocks in the lower left portion of the frame lead to the fully-contained-in-the-frame rock. I elevated the camera high enough that this rock did not completely block the view of the stream and aligned so that the falls fall about 1/3 of the way into the frame. A CP filter was used for this photo. A sure way to beat the crowds in Upper Antelope Canyon is to shoot upwards. And a sunlight beam certainly adds to most shots. Murray Reynolds Falls is the lowest elevation waterfall on the Ricketts Glen SP's Falls Trail north of Rt 118. It is also the most distant RG falls to hike to. But the hike is worth the effort. This is a good location to use a telephoto lens to more-fill the frame with the falls, but in this case, I used a large, mossy rock as my foreground subject. As usual for my waterfall landscape photos, a circular polarizer was used for this photo.